Learning About Pai Gow Poker - It's Not Just Any Old Poker Game! 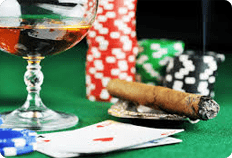 Getting Started With Pai Gow Poker - Things To Know Starting Out! Pai Gow Poker combines both Chinese Dominoes and Poker in a structured way and is not like a typical game of Poker. In order to win at this Poker game it will be necessary to lower the house edge. It will be essential for the player to possess some mathematical skills in the pursuit of this, and there are some additional things to be considered as well. When playing Pai Gow Poker, Position is an all important factor. Players must capitalize upon the position of the bank whenever they can, whilst also being extra careful at the same time. This is down to the fact that the Banker will need to cover the best of all the players at the table, that said the odds are in the favor of the Banker, above any other player. The player needs to maintain a healthy bankroll to enable them to keep this position. Look for a table that allows two players share the Banker position to help with this. When playing as the Banker, be sure to record the ratio between the Banker to player bets. If the player feels he has a good chance of holding a winning hand, he's encouraged to bet big to capitalize upon his advantage, conversely the opposite applies, when he is not. Take care when splitting Two Pairs. These need to be well thought out so as to cut down the house edge, and put it in one's favor. There's different ways to do this, and it's suggested to try out a few strategies first whilst using a free play mode. See what best suits the style, and record the results that ensue. Mathematical planning is required when arranging cards when playing Pai Gow. It's not a simple game of Poker. Use the House Way if needing guidance along the way, especially if confronted with a difficult arrangement of cards. Always practice for free first, it's the secret to getting good!